"MANDARIN: Powerfully emotional. An exhilarating, gripping experience. We spoke with Ashley Wheater, the Artistic Director of the Joffrey Ballet, prior to the superb opening of Global Visionaries at the Auditorium Theatre on April 26th. Wheater discussed the ever-evolving nature of ballet and the world-renowned choreographers assembled for the acclaimed pieces now in performance through May 7th. The Joffrey also announced their 2017-2018 season. 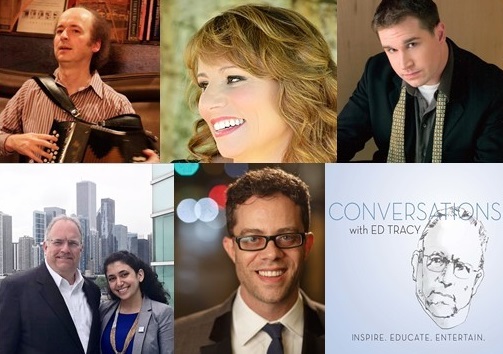 The CONVERSATIONS with Ed Tracy podcast series is now available to listeners all over the world through iTunes, Stitcher and Libsyn. Take our fascinating audio programs featuring theater and arts professionals, singers, musicians and leaders in media and business with you, wherever you go, by subscribing to CONVERSATIONS today.